FIRST Tech Challenge is designed for students in grades 7-12 to compete head to head, using a sports model. 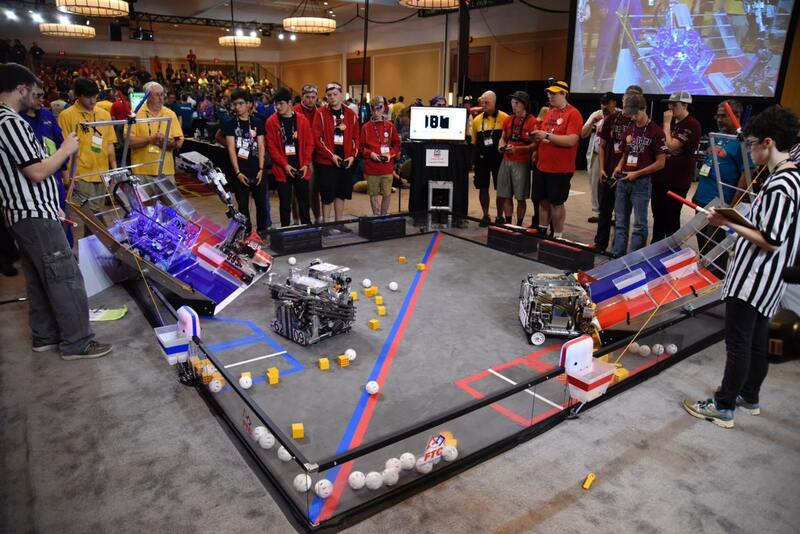 Teams are responsible for designing, building, and programming their robots to compete in an alliance format against other teams. The robot kit is reusable from year-to-year and can be programmed using a variety of languages. Teams, including coaches, mentors and volunteers, are required to develop strategy and build robots based on sound engineering principles. Awards are given for the competition as well as for community outreach, design, and other real-world accomplishments. 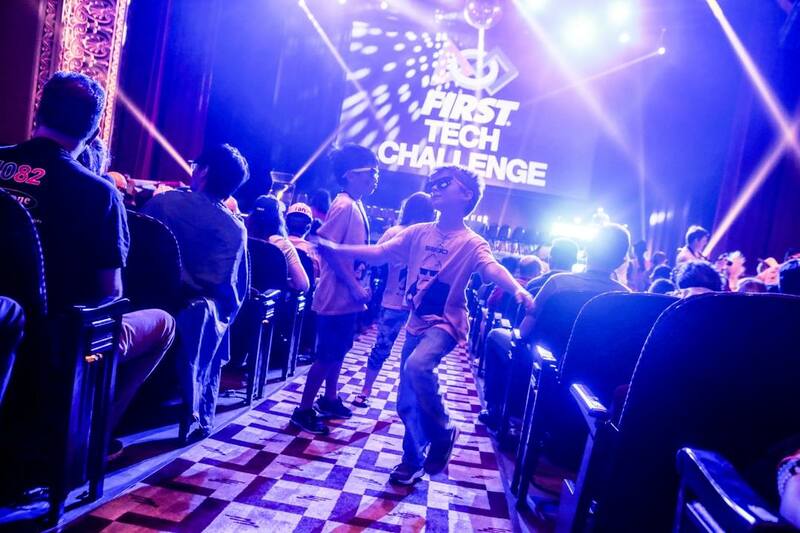 The FIRST® Tech Challenge offers students like you the opportunity to build robots, learn computer programming and computer assisted design (CAD) and compete against other teams at the local, regional and national level! You will gain practical, hands-on skills that test the theories and concepts you learn in the classroom. Teams are formed in the fall. The annual FIRST Tech Challenge Kickoff in early September starts the build season. Competitions and Leagues take place starting in November and continuing through February. They involve up to 48 teams cheered by hundreds of fans over the event day. A championship event caps the season. Referees oversee the competition. Judges evaluate teams and present awards for design, technology, sportsmanship, and commitment to FIRST®. The Inspire Award is the highest honor in FIRST Tech Challenge and recognizes a team that exemplifies the values of FIRST. Learn more about FIRST Tech Challenge from the CA Partners.